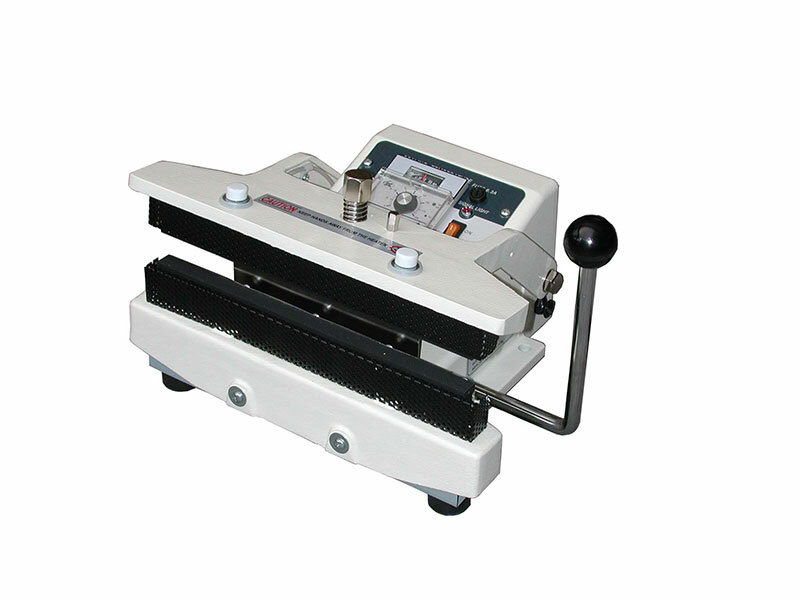 This special hand sealer is excellent for sealing polycello films, humidity-proof cellophane film, polyethylene film, aluminum foil coated bags and gusset bags. We offer mesh or straight-line texture of heater jaw. The straight-line texture is especially recommend for health care industry. Portable bench top unit. Heavy duty hand operated 15 mm wide double seal.